Well spotted! According to the Wikipedia page for Cosmos, the soundtrack recordings did indeed include Pachelbel’s Canon, performed by famed flute player James Galway. Technically, “Go West” is a song by the Village People, which was later covered by the Pet Shop Boys. Both use the Pachelbel Canon ground bass. I completely agree. The Soviets sure knew how to write theme music. professor at the Moscow State Conservatory and founder of the Alexandrov Ensemble. GREAT JUMPING GODZILLA, HOW DID I NOT KNOW ABOUT THIS BEFORE? 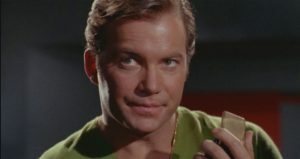 Yeah, that’s the beep that happens when anyone starts to use a communicator. Those NASA clips sound like digital whales! Whales in space were definitely a Trek thing! And finally, Lollygirlie simply sends this link. In other words, up until the last couple weeks, we’ve still been operating with the same one-channel challenges that were managed by Quindar tones back in the 1960s. Wow! Previous Post:Sound and the Foley in the Wild! It was the Indy Car Special from this week that I got from iTunes. I’ll have to see if I can capture that bit for you.